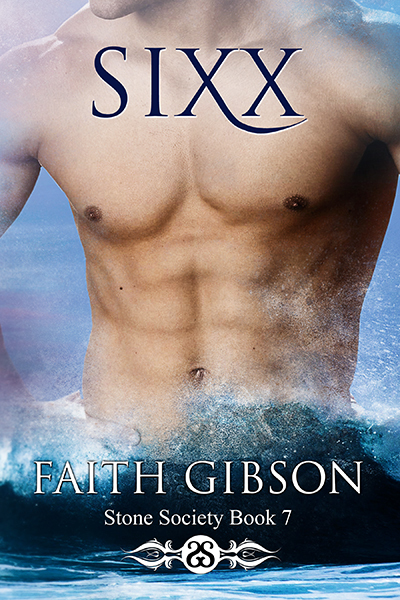 Sixx, Book 7 in the Stone Society, will be live and in technicolor on July 7th. I am so excited for you all to read this particular book. To me, it is a turning point in the series, following the footsteps of Jasper. There are several storylines mentioned in this book, and some of you may not like that, but it was important to include them. Coming in at around 102,000 words, you get plenty of Sixx and Desirae while being introduced to a few new characters who are instrumental in the future of the Clan, both good and bad. Pre-order will be available soon, so stay tuned to Facebook for that. When Michael “Sixx” Gentry lost control of the beast inside, he walked away from the best thing to happen to him in 500 years. Twenty-four years later, someone points out that Sixx has a doppelgänger. When he hears the man’s name, Sixx realizes twenty-four years too late that the best thing to ever happen to him had been pregnant with his son when he walked away. Sixx makes the trip across the country to face someone more terrifying than any Gargoyle he’s ever come up against – the mate he left behind. Desirae Rothchild, love of his life and mother to his son, is one feisty human. When she learns the truth of why Sixx left, will she forgive him? Hell, will she even believe him? If Desirae were his only obstacle, Sixx might be successful in his journey. But when the Greek King is hell bent on seeking retribution, Sixx’s family is caught in the cross-fire. Sixx and Desirae must work together with the help of his Clan to save the one person who means everything to them both – their son. That is one 'hot' cover! ah, so glad you like it!